AI i.e. Artificial Intel­ligence- How many times have you heard this word in the last week, month, year, half a decade? The numbers probably are in the hun­dreds, if not thousands. An AI would be able to give a much more correct estimate. But within the last cou­ple of years, it has moved fast from taking baby steps to invading every kind of techecosphere. While the se­rious initial involvement of thought leaders such as Stephen Hawking, Bill Gates, Mark Zuckerberg and Elon Musk gave it an immense push in the public domain, it seems to now be the central topic of conver­sation with everyone. Furthermore, even after many influential figures expressed their reservation against this cutting-edge technology, it still is topping the popularity charts eve­rywhere in the Tech world. So what is that endears AI so much to modern day entrepreneurs, tech-innovators and everyone in between? There are two perspectives to answer this question-the service provider (business/innovator/crea­tor) angle and the customer point of view. Understanding this twin acceptance of AI is the key to being able to solve the mystery behind its increasing popularity. 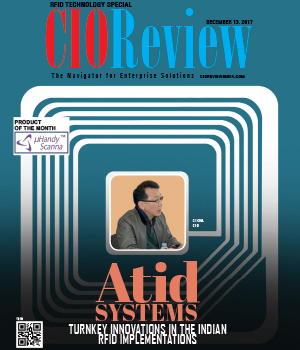 Cuts Down Costs- By streamlining, simplifying and enhancing the ac­curacy of any operation, AI can cut down massively on the costs associ­ated with it. The scope of AI is such that it can bring under its ambit nu­merous processes, and a centralized operative framework ends up saving a lot of costs for a company. Increas­ingly, businesses all over the world are seeing AI as the fundamental tool to create elegant, powerful and modern applications that run the global economy. Optimize Operations- AI, in combination with technology such as cloud, can give companies greater flexibility and security while opti­mizing various processes by reducing the wastage of efforts. For instance, Knowlarity, one of the leading cloud communications technology provid­ers in South Asia, has incorporated AI into its products to guarantee 24x7 communications with custom­ers as well as sales and pitching ef­forts. Thus, not only does it ensures that every call is attended to, thereby reducing losses; it is also able to conduct simultaneous pitching op­erations, optimizing the use of the communicative framework. Personalized Communications- Attending to every customer or cre­ating more customers, which is a fundamental choice every business has to make. With AI, however, this trade-off is not required as person­alized communication can be gen­erated to every customer without impacting the set number of target customers. AI, through continuous communication, automatically up­dates itself to the specific needs and demands of users, thereby maintain­ing the essential personal touch re­quired to woo customers. From the point of view of cus­tomers or users, however, the reas­surance that the AI is learning con­stantly, and hence adapting to every response from a user to facilitate future transactions, is a huge sigh of relief. Many consumers often get irritated at an IVR and yell at it to connect to someone who can actual­ly answer the query. The IVR would not give a response. But in the case of AI, it can identify your problems and the next time; remember them while communicating with you, ex­pediting the process. Customization- As already sug­gested by the name, customers like to customize. And that includes eve­rything. But earlier, while we could do nothing to stop incoherent or in­audible IVRs describing something which was difficult to understand, AI can be customized for languag­es, accent, consistency etc. which empowers the customer to create a listener rather than be compelled to listen to someone who cannot com­prehend the query asked. From Satya Nadella to Jeff Be­zos, everybody is queuing up to get the lion’s share of the AI market. As entrepreneurs rush to incorporate AI into their businesses, it is impor­tant to plan its inclusion in an opera­tion rather than move in a haphaz­ard manner. Being the technology of the future, it is beneficial for any business to be AI responsive, but one should not think of it as the an­swer to everything. Rather, it should be thought of as a futuristic, game-changing technology that can only bring in the best results through ef­fective planning and guidance.